Greenwood, S.C.; October 5, 2018 – A Greenwood man will spend the next 18 years in prison after pleading guilty to charges stemming from a June 2017 domestic assault, 8th Circuit Solicitor David M. Stumbo announced Friday. 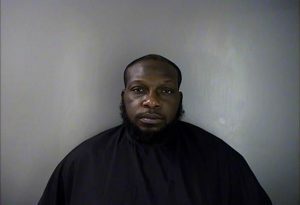 Stavalyon Amane Turner, 35, pleaded guilty Thursday at the Greenwood County Courthouse to charges of domestic violence, high and aggravated in nature, and violation of protection order. After hearing presentations by the state and the defense, Circuit Judge Frank Addy Jr. sentenced Turner to 18 years in prison. On June 24, 2017, deputies responded to the victim’s residence where she told them that Turner had assaulted her and bitten off a chunk of her upper lip. Investigators later located the piece of the victim’s lip on her bed. The victim was taken to the Emergency Care Center at Self Regional Medical Center to receive treatment for her sever injuries, which included multiple surgeries. Turner had committed prior domestic assaults involving one other victim and the current victim, which resulted in the order of protection that was in place at the time of the June 2017 incident. Solicitor Stumbo and Assistant Solicitor Carson Penney handled the case for the state. Turner was represented by Michael Gambrell of the Greenville County Bar. Solicitor Stumbo praised the work of his staff along with the Greenwood County Sheriff’s Office in securing the conviction and lengthy prison sentence. This entry was posted in Greenwood County, News. Bookmark the permalink.